delicious. This is a recipe I’ve got to try. Thanks for sharing. What a brilliant idea, I too add Indian spices to an otherwise blander recipe. Yours looks very appetizing. I’m going to try this quinoa in the coming weeks and not say a word. I’ll be curious to hear if they taste any difference. Sadly I’m still in search of quinoa pasta though… one day! I’d really like to hear the results! Please, let me know if you do it. :) Shoot, hope you find the quinoa pasta…trying to remember where you live, or if I ever knew where you live? I’ll definitely let you know the results of my “kitchen experiment”. And as for where I live, I’m at the end of the road in BC, Canada hence supplies here are a tad limited. However I’ll be in Vancouver next month catching up with my old friend Bette (Midler) so hopefully will have a chance to look around then… hopefully!!! wha? :) Seriously Bette Midler? Awesome. If not let me know…I’ll send you some! Oh these sound so flavorful and fragrant! Love the quinoa idea. Never have the flour on hand but always have the grain. Brilliant! I realized I seldom made meatballs because of the frying them first and having them break apart. I bake them too and it doesn’t take any of the flavor away. Will make these soon. Good! Hope you give it a try. They turned out beautifully and fragrant is spot on for describing these meatballs! I know what you mean about the meatballs breaking apart in the skillet. I try to just give the pan a little jiggle and they turn without using a spatula. But it can be really messy with the spattering and whatnot. Baking them worked out great! Thanks for the tip with the quinoia! When serving meatballs in sauce, I prefer to gently poach them straight in the sauce. They stay soft and the sauce takes on the delicious juices that ooze from the meat. I haven’t made meatballs in ages, thanks for the inspiration! I do the same Sandra. And you are right the sauce really does well with that extra bit of fat from the meatballs. So tasty. For some reason I am on a meatball kick! Something very therapeutic for me in mixing it with my hands and rolling them into little balls. :) Not that I need therapy or anything…. Great tip on the quinoa, toasting it would make it even better. Love meatballs and these sound delicious! Yes and I really liked the aroma of the quinoa when it was toasting. The consistency of the meatballs were spot on so I’d say the quinoa’s a success. So, does the quinoa act as a binder when moist? Rather like using ground flaxseed/linseed. I still get palpitations every time I check the price of a pack of quinoa! Because of that I never buy it for myself. I’m with you on needing spices right now. Made a quick and tasty kidney bean dish tonight using just ground spices (onions and toms). Really hit the right spot. And I bet your meatballs did the same. Are you talking flaky? How do you guys call it? Pastry for pies where you keep the butter pea sized. We don’t really do that pastry here as the flour is softer (less gluten and protein, if I remember right). I might have a handy tip for you, something I almost did by accident. Turns out really well! You’re on the right track. Purely by accident I ended up using half the amount of butter at room temp, as I’d forgotten I’d wanted to use all chilled. With the first half I ended up blending until breadcrumbs. Then, as I couldn’t really be bothered with doing the same with the chilled butter I left in in quite large lumps. And ended up with a really nice pastry. I only ever use a pastry blender as I have so little space to work within. Anyway, have no idea how it might work if you tried it as your flour is harder. And I think I’ve read that technique somewhere since then. I found it really easy to work with. Here, we only ever do shortcrust (because of the differences in flour) so I can’t compare how flaky mine actually was. I’d make it again. :) Amaze-balls! Lol! Thank you, this really is a great combination. Very spicy and delicious! These look amazing. I love the use of indian spices and jalapeño. What a great twist on a classic. You eat just like i do. You inspired me to use my zucchini device again too! Xo hope you’re well. 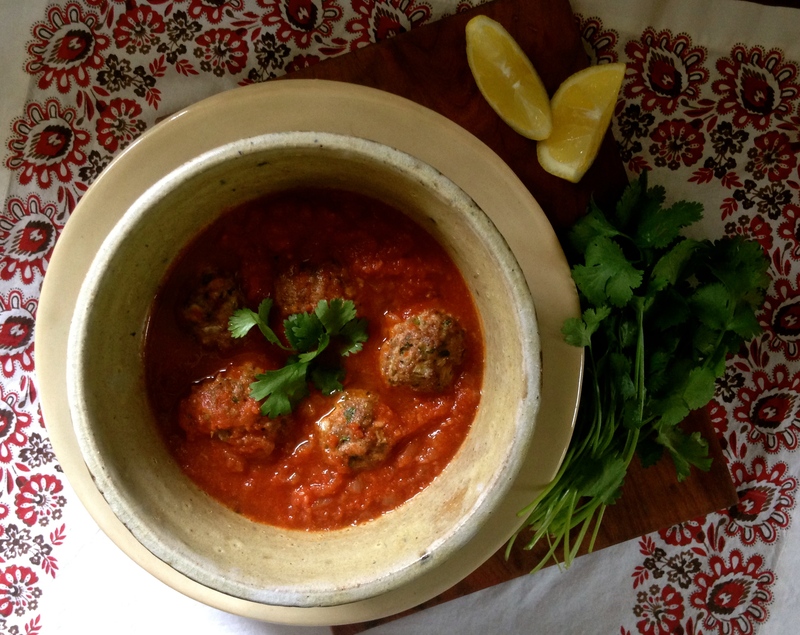 Love these meatballs – a great option to tempt me from my Italian version. 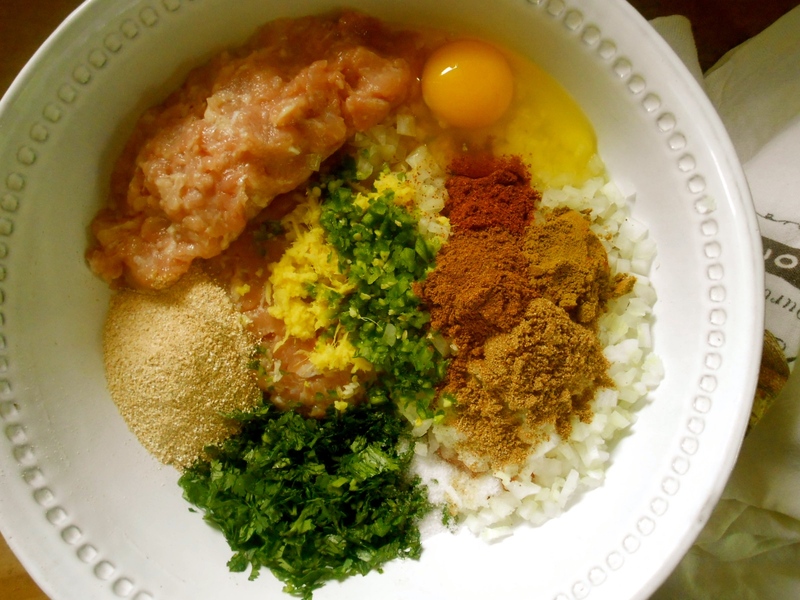 And great tip on the quinoa > quinoa flour using a food processor – last time I tried psyllium husk as a breadcrumb alternative and it seemed to work well too…..
Great recipe. I never really make meatballs these days but have seen such tasty recipes over the months from yourself and Amanda and other bloggers that I really should try some of them out! I love the idea of Indian spices in the meatballs, I’m sure I would really enjoy them. Yes, it really is a nice way to season meatballs Karen. I’m so used to Italian style meatballs, or sweet and sour. Nice to change it up a bit and try something spicy and aromatic like this. Thank you for visiting! 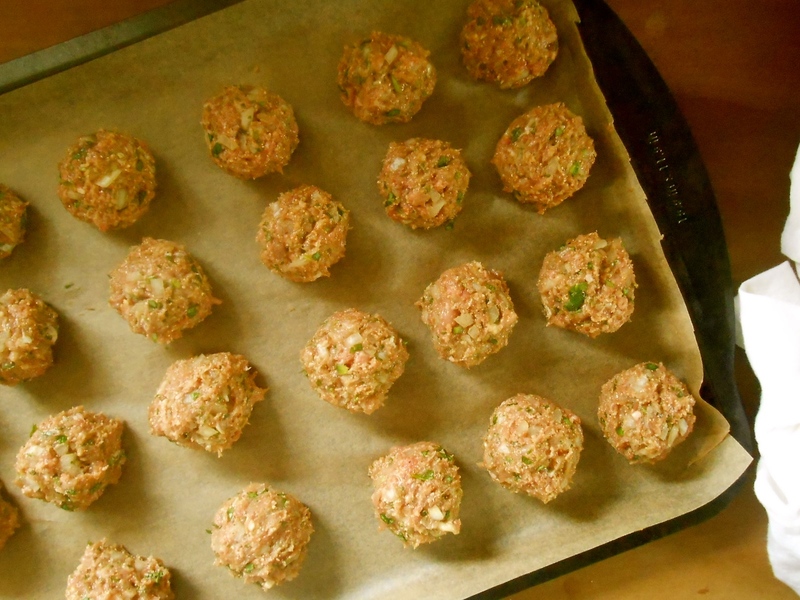 I love meatballs, but have never made them with chicken–sounds like a great idea! We really like using chicken for meatballs. Very lean and light. I buy dark meat, but you could try to go even leaner and buy ground chicken breast. It’s delicious and tender! :) Yes sir. Very spicy and good! Oooh this looks so lovely! I had a friend recently send me some garam masala, so this would be a good candidate to try it out. Your recipes are always so inspiring, Seana! First, the meatballs look absolutely delectable. I am pleasantly delighted with the ingredients, addition of Indian spices and quinoa instead of breadcrumbs. I love the quinoa idea! It’s expensive here but even though I’m “frugal” I think some things are just important enough to pay a little more for. 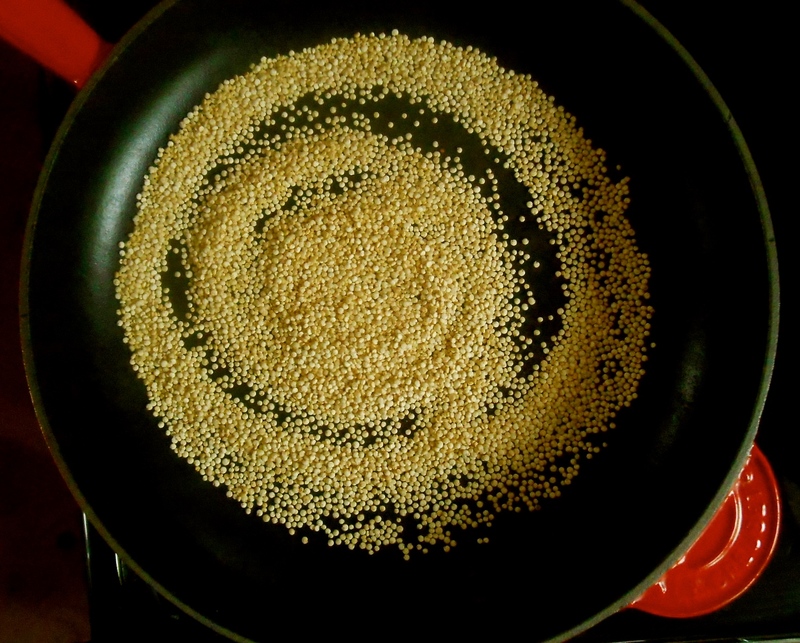 Quinoa is one, good olive oil another! You are currently reading chicken meatballs in spicy tomato sauce at COTTAGE GROVE HOUSE.